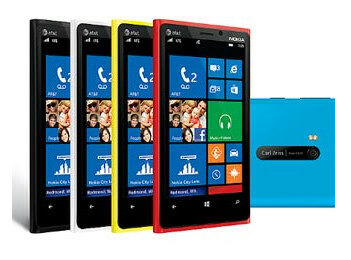 Those who pre-ordered the Nokia Lumia 620, Nokia Lumia 820 and Nokia Lumia 920 in Brazil, were expecting to receive their handsets on February 21st. But the Finnish handset manufacturer was able to get the devices out ahead of schedule and they are now arriving at the front door of those who ordered them. The Nokia Lumia line in the country is far from cheap with the low to mid-range Nokia Lumia 620 going for 899 Brazilian Reals ($459.21 USD), the mid-range Nokia Lumia 820 priced at 1,500 Reals ($766.20 USD) and the high-end Nokia Lumia 920 wearing a price tag reading 1,999 Reals ($1,021.10 USD). Besides getting shipped early to those who pre-ordered the trio, the phones are now available from some brick and mortar stores in the country. I'm also WAS a happy nokia N8. 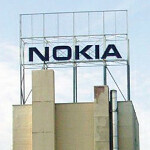 In fact, I use nokia smartphone since the nokia 3650.... followed by 6600, N70, N90, E71, E72.... N8. but I'm not happy with my lumia 800. It was a BIG downgrade from Nokia N8. I'm happy again after I switch to Galaxy Nexus, and now Nexus 4. bye2 nokia... your WP miss-adventure really make me switch away from nokia. Bad for you!you better try windows 8.Lots of improvement!I hope you will not get disappointed with L920 which i will be getting within few days. The dp doesn't suits you! Really miss the E72 and the E6. $460 for 620?? Seriously?? Damn! so, we can't find any Lumia 920 in Malaysia because Nokia shipped all their Lumias to Brazil? Old phone. Don't waste your time on it. Don't waste your time suggest trolling here and there. We'd rather wait a few months for the price to go down a bit and let the easily-bored people switch as soon as they like spend all they like on the latest. Geez, pity, they seem miserable. why phones in Brazil is so expensive? Well, they better before the iOS iPhone gets there. But price is way too high in Brazil huh? Believe it or not, the Lumia 920 here in Brazil had its pre-sale sold out. When the sale is again available on the Nokia website, it quickly depletes. The price really is abusive.